So, uh, I guess this is awkward. Remember when the Chairman and CEO of Fox said, “I believe everyone is on board to do another installment of the show”? Yeah, this belief was incorrect. 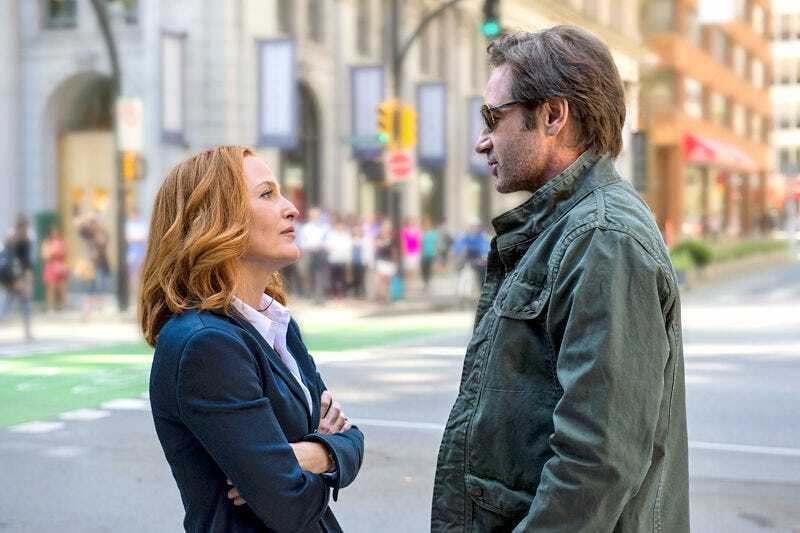 In a new interview with Deadline, Gillian Anderson said of the possibility of doing more X-Files episodes, “I’m open to the conversation, though they haven’t come to us yet. I have no clue when they’re going to.” C’mon, Fox, this is easy. There are only a few people that are vital to the X-Files, and Gillian Anderson is one of them! David Duchovny, whom she implies is also in the dark, is the other! Yeah, and one of those other jobs is the perfect-looking American Gods. So, Fox snoozes, Fox loses.